Elizabeth Bear, whose most recent publications include The White City, a story of forensic sorcery and the price of love set in an alternate 19th century Moscow, Grail, the final book in the Jacob’s Ladder science fiction trilogy, and post-apocalyptic Norse techno-fantasy The Sea Thy Mistress. Felix Gilman, the author of three novels, the Big Weird City duology Thunderer and Gears of the City, and the steampunkish kind-of-western-epic The Half-Made World. Wednesday May 18th, 7pm at KGB Bar, 85 East 4th Street (just off 2nd Ave, upstairs.) 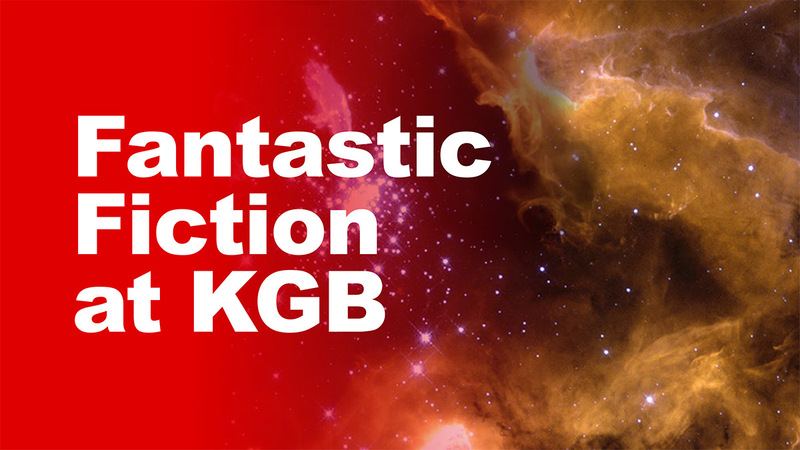 http://www.kgbfantasticfiction.org/ Subscribe to our mailing list: http://groups.yahoo.com/group/kgbfantasticfiction/ Readings are always free. Please forward to friends at your own discretion.